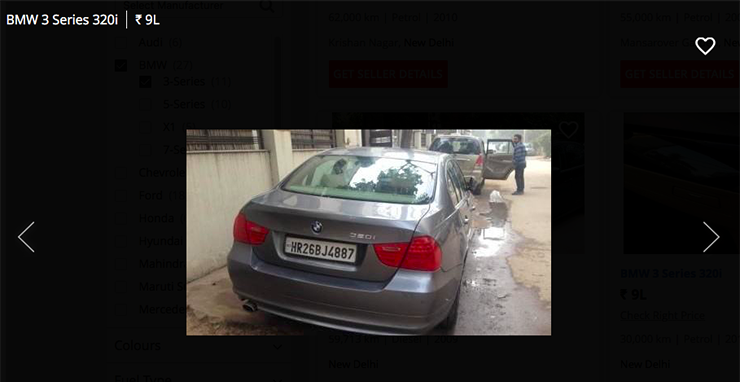 Used BMW and Mercedes cheaper than Honda City? It’s true! Let’s admit it, we all aspire to buy a luxury car. However, thanks to the exorbitant prices, which are courtesy of some crazy import duties, it becomes almost impossible for most of us to drive home in a Merc, Audi, or BMW. Right? Wrong! Buying a luxury car is a lot easier if you take the used-market route. Consider this hypothetical situation – You are about to spend over Rs 10 lakh + taxes on a brand-new Honda City. What if I tell you that you can easily afford a used luxury car for the slightly lesser money? Interested? Read on! Of course, we understand that a brand-new non-luxury car, like the Honda City, won’t be as flashy but will be much less expensive to maintain. Also, they come straight from the factory and hence, start out in a very fresh condition. On the other hand, maintaining a used luxury car requires at least 3-4 times more money. The only saving grace here is that these German cars are a lot better built and chances of something going really wrong are fewer. Also, one simply can’t ignore the high road presence and brand image of these vehicles. Once again, we would like to remind you that buying a used luxury car is not a problem as long as you are prepared to pay for higher maintenance in lieu of driving a more premium vehicle. Here, in this post, we have details of 5 REAL pre-owned luxury cars that are cheaper than a new Honda City! 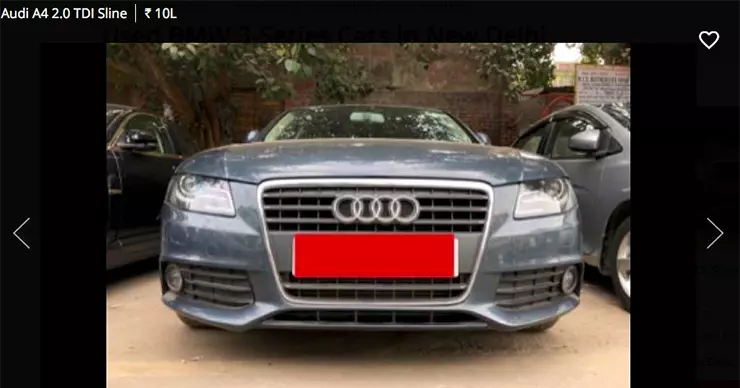 The previous-generation 2018 3’er you see above has run only 39,000 kms, which isn’t much by any stretch of the imagination if you take into account the lakhs of kilometres these cars can run without any major repair. Also, the images reveal that both the exterior and the interior are in pretty good condition and don’t require any immediate attention. While the 3-Series isn’t too spacious, one simply can’t overlook the high driving pleasure it offers. 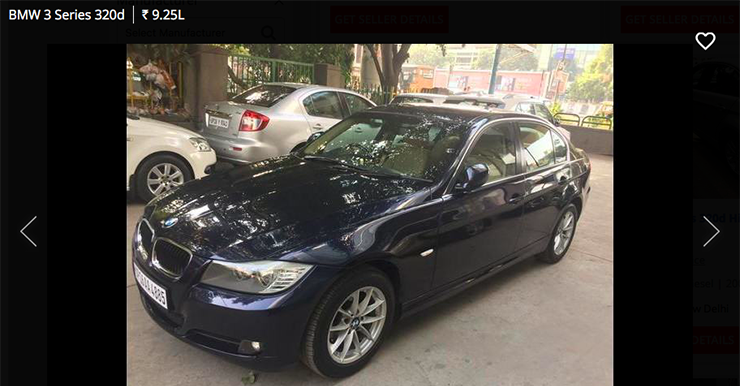 With just 30,000 kms on the odo, this 3-series is for all those who are looking for a sparingly used petrol-powered luxury sedan. While fuel efficiency isn’t really this car’s forte, you do get sufficient power and high levels of refinement. Also, this one’s cheaper to maintain than its Diesel-sipping sibling. Definitely worth a good look, this one. Is the 3-series too performance-focussed for you? Do you want a car that comes with a really cossetting interior and a badge that announces you’ve arrived in life? 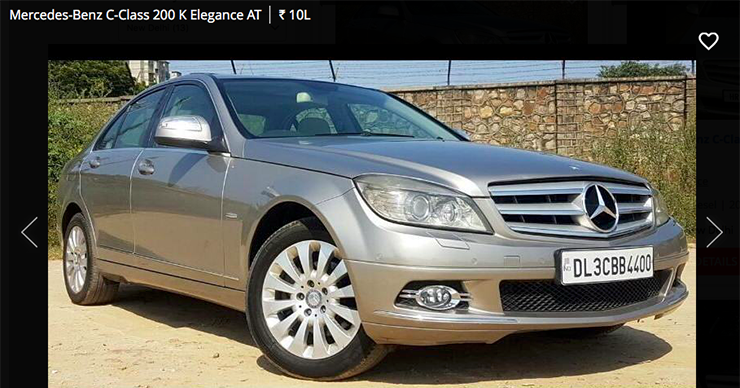 Here’s a 2009 Mercedes C-Class that has run less than 50,000 kms. While not too powerful or sharp in the corners, it’s a really very comfortable car that comes with a long list of features. Of course, maintenance will be high but you get the highly revered three-pointed star! There’s something really special about the Mercs, right? With roughly 65,000 kms on the odo, this last-generation A4 Diesel is for all those who want a mix of comfort and performance. While maintaining one of these is many times more expensive than a Honda City, that famous badge will get you attention anywhere you go. The previous generation A4 is for you if you want a well-built German sedan that is comfortable and has a punchy motor. 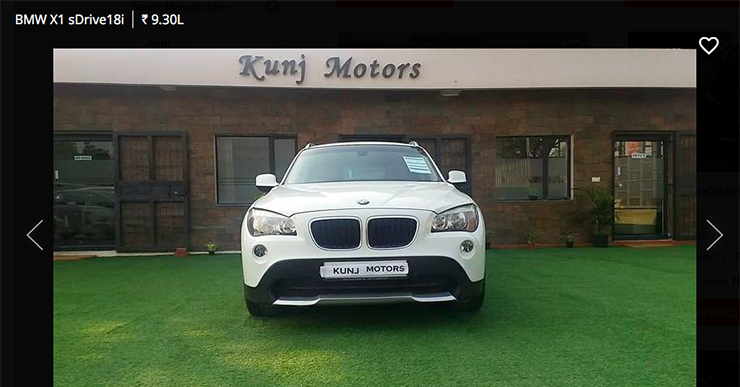 Here is a 2011 BMW x1 that has run 75,000 kms. While the mileage is slightly on the higher side, let’s not forget that these things are built like they’ll last a lifetime. This SUV is for you if you think owning a luxury SUV makes more sense than a luxury sedan. Unlike some of the cars on our list here, this X1 comes with a Diesel engine, which means running costs remain under a check. However, don’t forget that an annual routine service will cost upward of Rs 30,000.